The phrase “Beauty is pain” isn’t a motto that every woman agrees with – especially on her wedding day. It’s true, not every bride is thrilled about the idea of throwing on those classic pumps or high-heels for their wedding day. After standing on your feet for hours at a time in 3-4 inch heels, the throbbing and pain in your feet start to show up on your face (and in your photos). If comfort is a top priority for you on your wedding day, but you don’t want to compromise on style, these bridal shoe options may be just what you’re looking for. 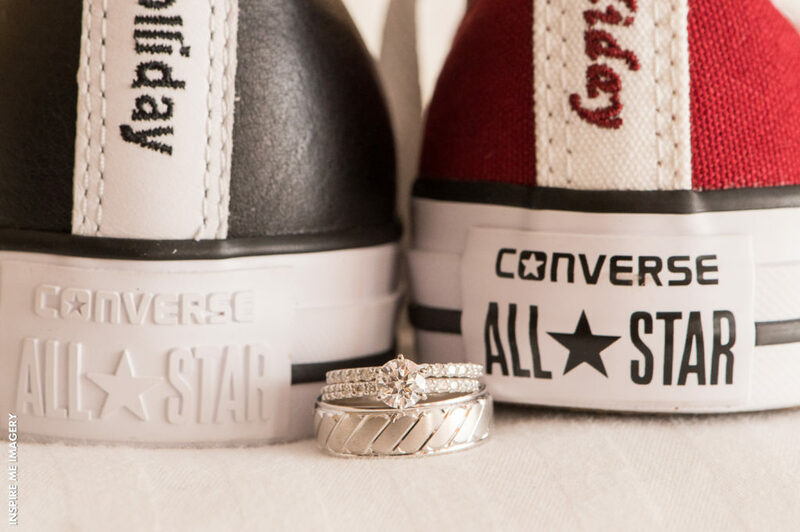 Are you a sporty bride? Prefer the idea of wearing sneakers with your wedding dress than a traditional pump or high-heel? Well, it’s your wedding day, so why not throw on a pair of matching running shoes? 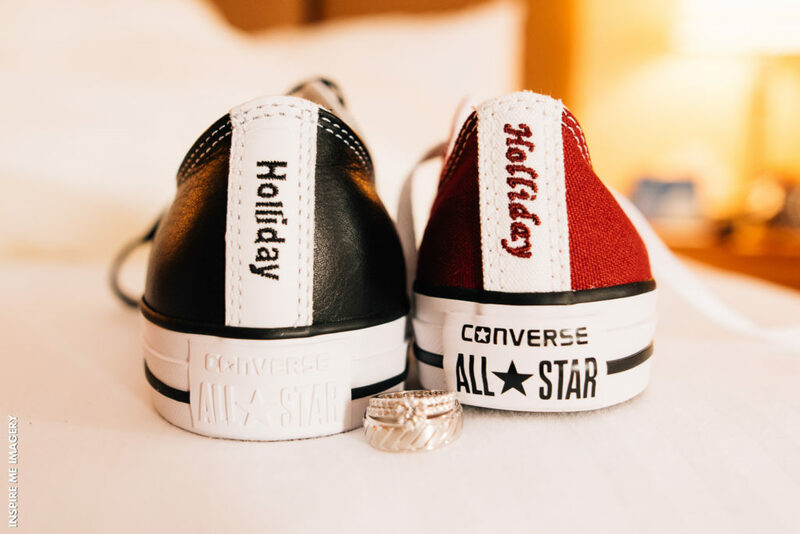 This bride chose to go with a pair of Converse sneakers on her wedding day. 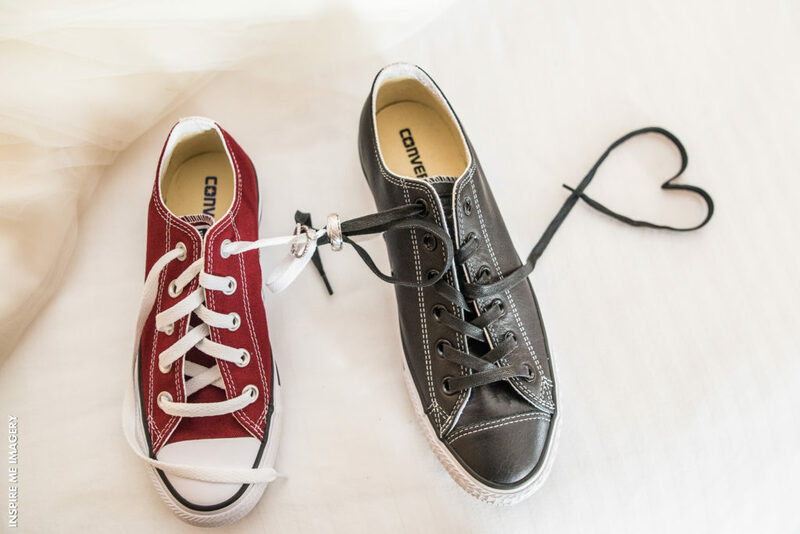 Maybe wearing sneakers is a bit far-fetched for you, but you still don’t like the idea of sporting high-heels. 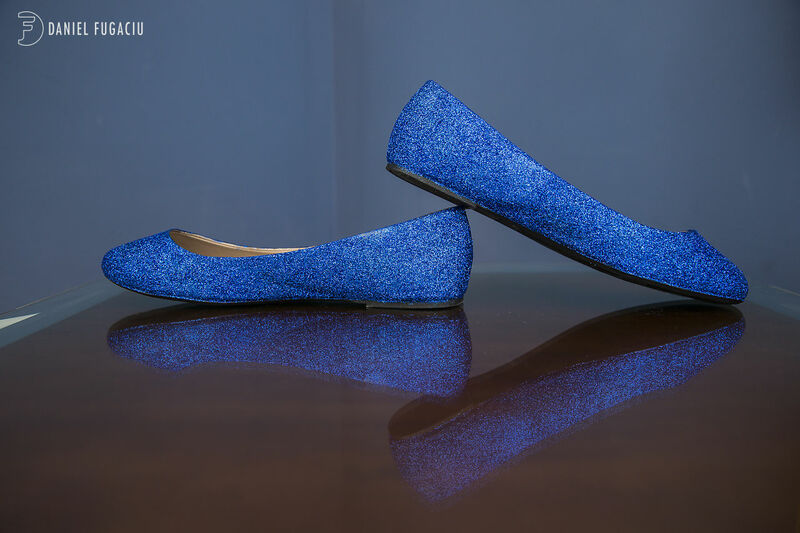 If you’d like something a bit more sophisticated that still gives you comfort, a pair of satin ballet flats are a great choice. 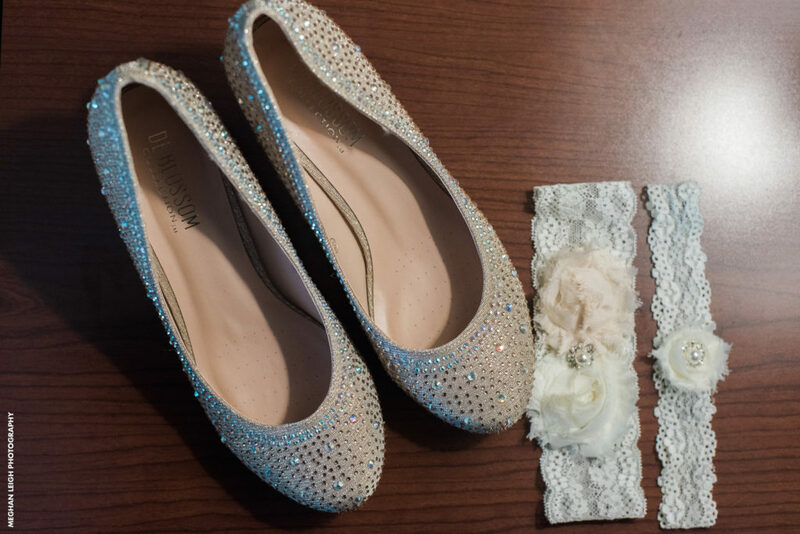 Feeling as if you have slippers on your feet, you can have these flats died to match your wedding gown and throw in some jewels for embellishments. Yes, you read that right! Even flip-flops can be worn underneath your wedding dress. This is a great idea for a spring or summer wedding. Obviously, you’d want to steer clear of foam or plastic bottoms, but a hard bottom flip-flop with a decorative foot strap can look stunning with a summer wedding gown. 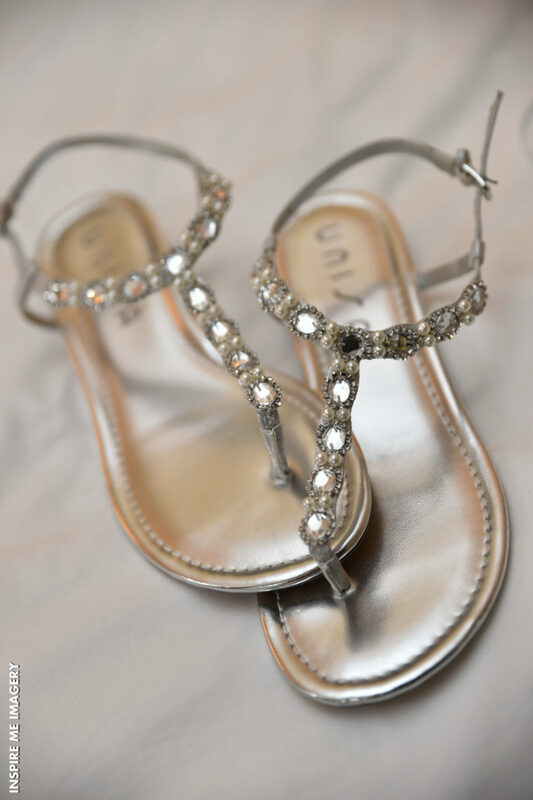 Flat sandals have become increasingly popular for brides. There are styles to match just about any bridal theme. 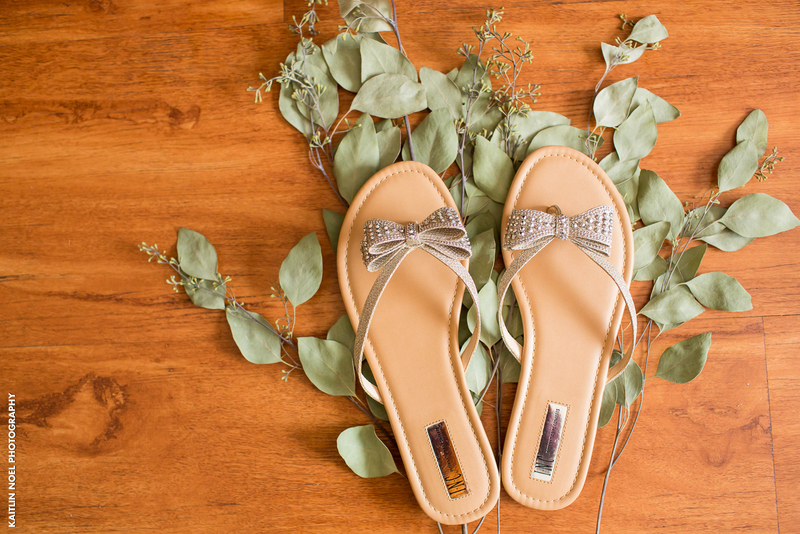 Unlike flip-flops with limited support, flat sandals give brides more support while still providing style, personality, and comfort. 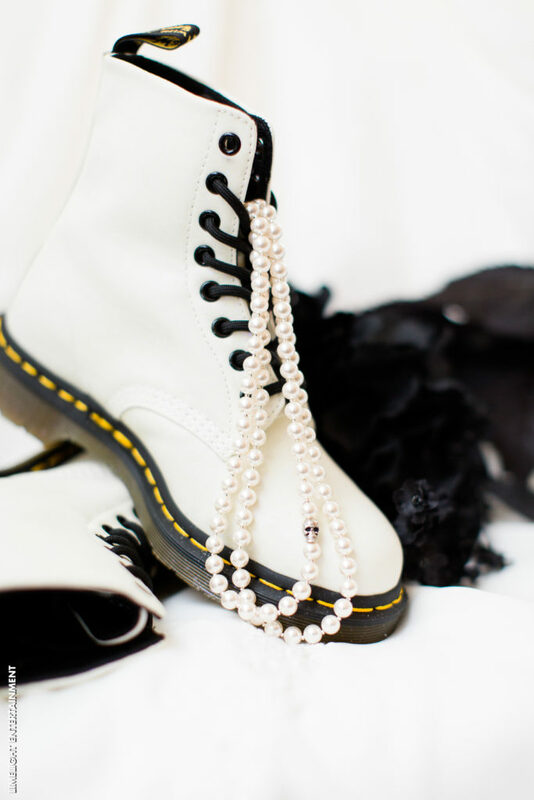 You probably weren’t expecting boots to make the list of bridal shoe ideas, but they can be a great fit for brides who simply don’t like pumps. Here you’ll see a wedge boot and a rugged white winter boot. 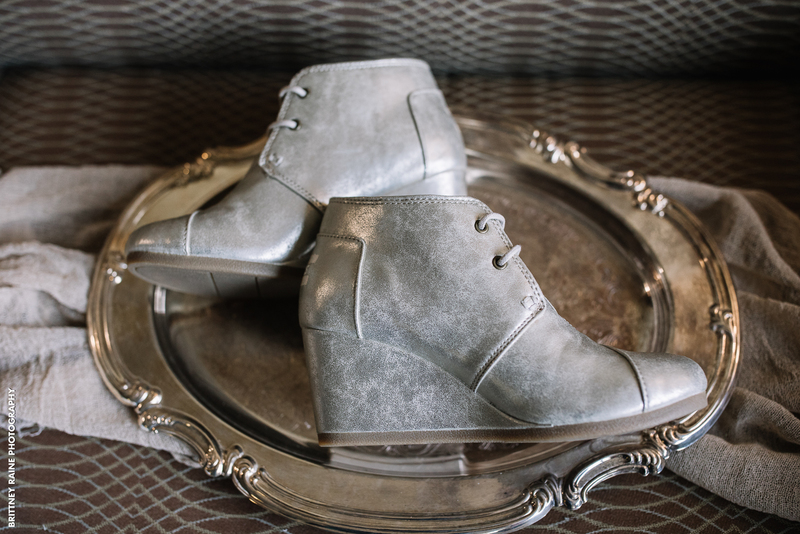 Both very stylish and ideal for fall and winter weddings when you’d prefer your feet to be more covered. Every bride wants to look her best on her wedding day, but that shouldn’t come at the sacrifice of her personal comfort. If high heels aren’t your thing or if you’re simply not fond of the idea of standing in heels for hours, going with any of the above options are great substitutions.